six are thought to remain, this being one. Admit it. 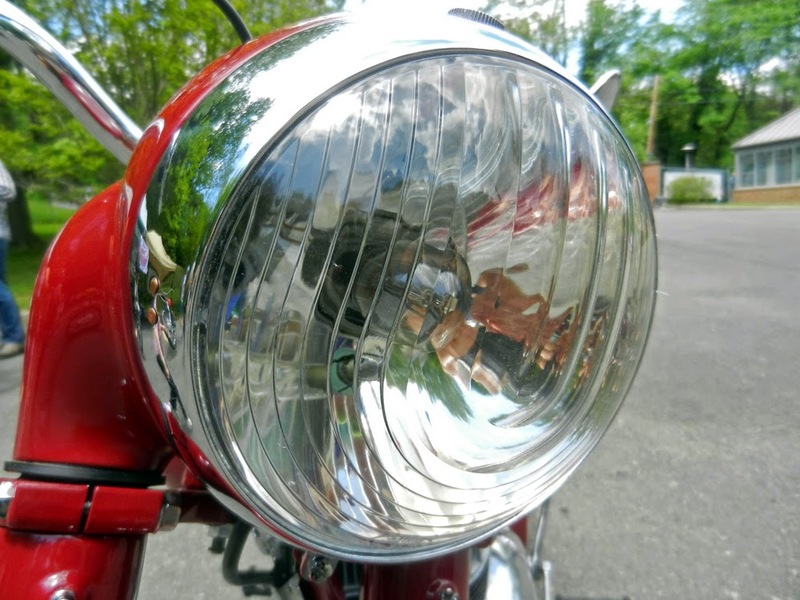 If there's no Royal Enfield around to look at, you'll ogle any motorcycle. Well, up to a point, anyway. You look for the unusual. I'll walk past the ubiquitous Harleys and blade runner super bikes. But you don't see many JAWAs on the street in the United States. 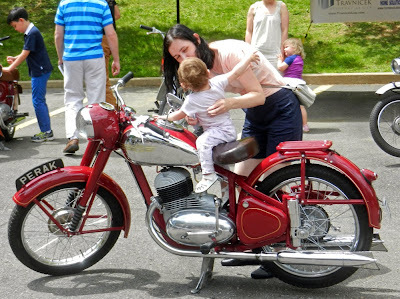 I couldn't resist looking last Saturday when the Embassy of the Czech Republic in Washington, D.C. hosted a "display" of elderly JAWA motorcycles, made back in the day in what was then Czechoslovakia. 1962 JAWA CZ125 in original condition. There is an excellent history of JAWA and of each of the motorcycles present on the embassy's website. Some of the machines on view were very rare. Like Royal Enfield, JAWA built some motorcycles wholly for export; the local market never saw them. 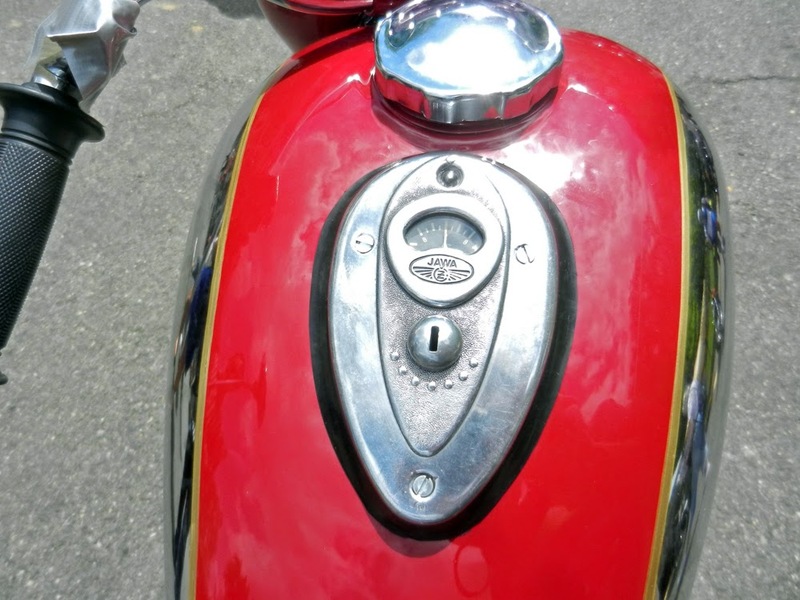 Also, like Royal Enfield, JAWA motorcycles tended to feature nacelles and integrated tool boxes. I am a sucker for those. In general, JAWA designs seem to be caught somewhere between Art Deco and "The Jetsons." 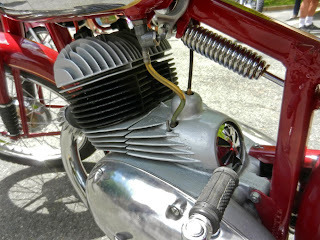 They are stylish and streamlined, whereas Royal Enfields tended to let the mechanical bits show. JAWA was established in 1929 in Prague by František Janecek. 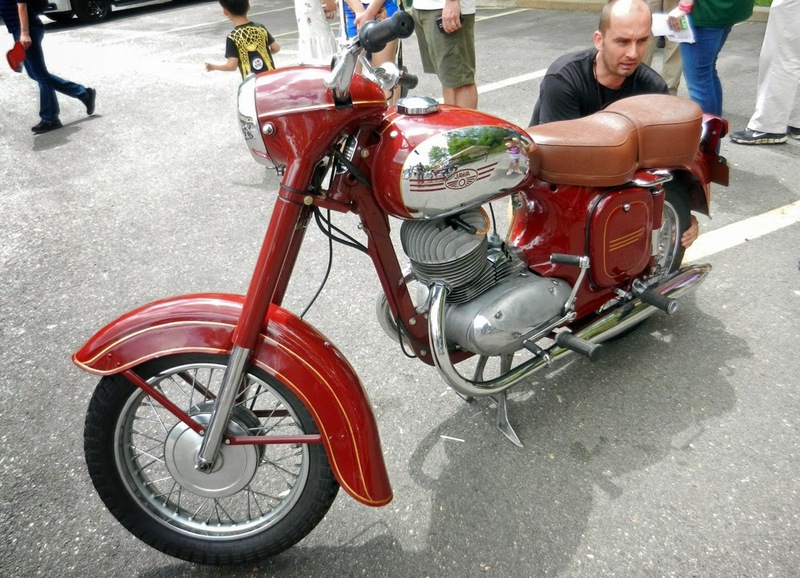 His first designs were based on the German Wanderer motorcycle. "JAWA" is the first letters of JAnecek and WAnderer. After World War II, JAWA grew, exporting to more than 120 countries. 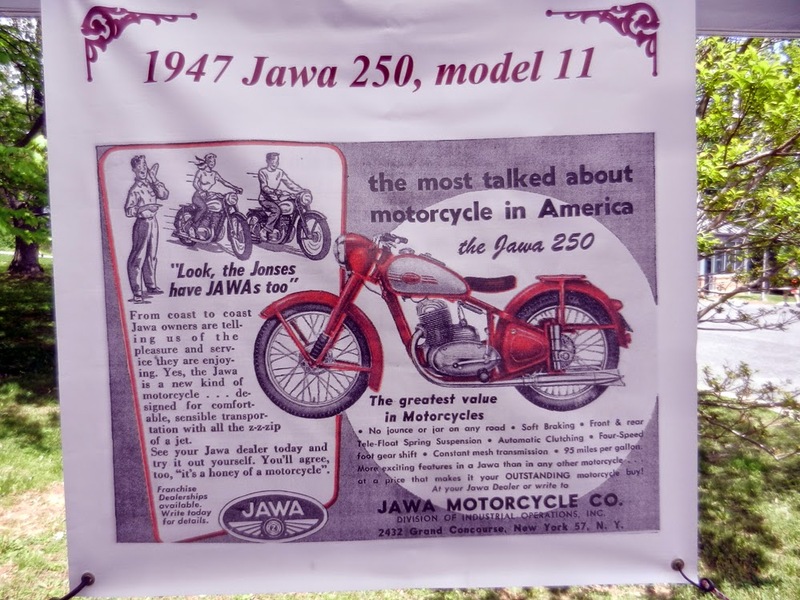 JAWAs no longer come to the U.S., but a successor company, JAWA Moto, remains in business. There is an active North American JAWA/CZ Register. Rarely has an amp meter been so prominently displayed. Lovely streamlined intake serves as the choke. The spring cushions the cantilever single seat. talked about motorcycle in America. 1947 JAWA 350 Perak. What a clean design. 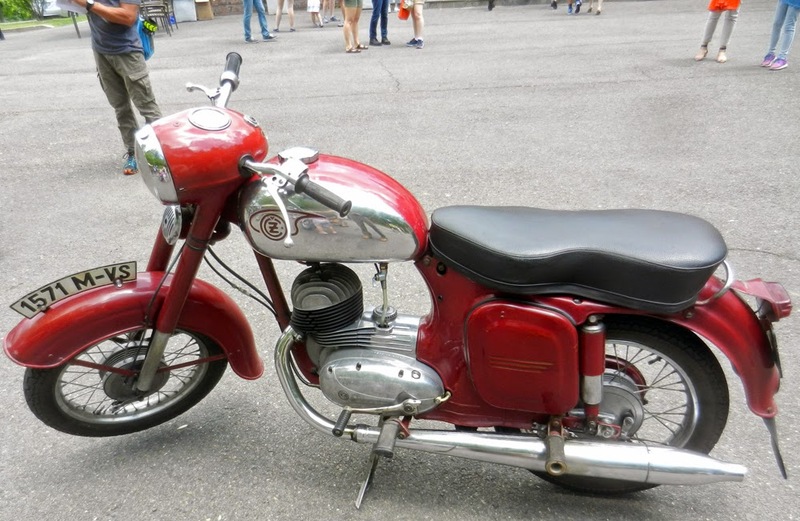 1960 JAWA 50 Pionyr; sport version at left. Note that the JAWA display at the embassy encouraged children to have their pictures taken on the motorcycles. 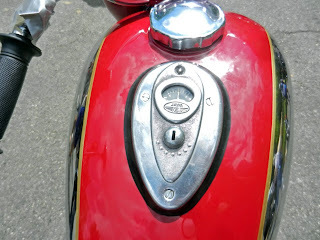 You don't see that at many "don't touch" motorcycle exhibits. 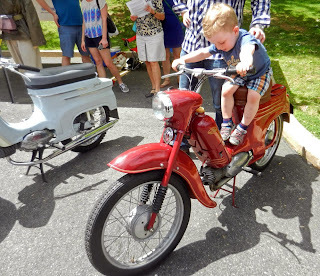 But there was even more fun: rides for the kiddies, on embassy grounds. I had a '74 version of this one, it looked just like it. Nice bike - I enjoyed it for the same reasons you give.